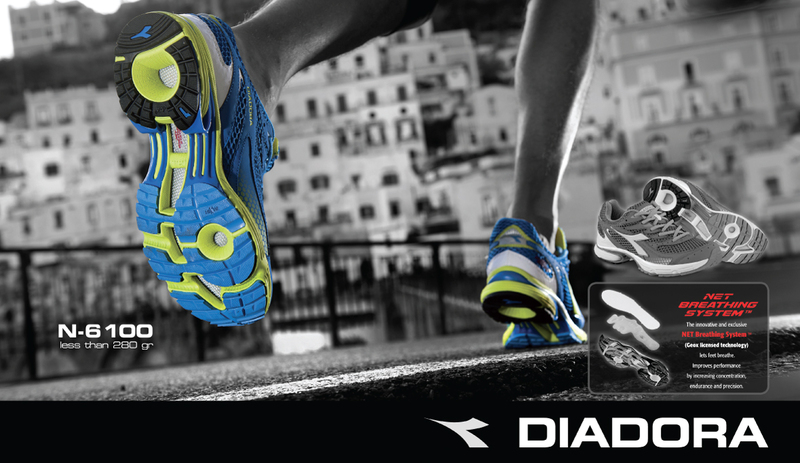 The word Diadora comes from the greek διὰ δωρέα ”dia-dorea” Which means “to share gifts and honours”. True to word, sharing all successes, combined with a sense of teamwork in the practice of sport at all levels and with a competitive streak that is always respectful of team-mates and opponents are some of the essential principles of Diadora. This romantic and highly principled word, Diadora, is accompanied by a symbol, an ornament, which represents the origins of the company, which are rooted in a craftsman’s laboratory fabricating shoes since 1948. It’s not a flash or the tip of an arrow, as it may seem, it’s more appropriately the stylized version of an open upper: the very main element to make a shoe, whether for sport, leisure or work.